The world today is highly interconnected, and what happens across the globe may eventually affect investors and consumers at home. Supply chains are long, multinational corporations invest and operate in far-flung locales, and modern telecommunications technology allows us to see what’s happening everywhere. While undoubtedly many events are buried in the onslaught of information (one reason to use smart financial news aggregators such as CityFALCON), world citizens can witness the triumphs and horrors of what their favourite companies are doing in other countries as well as domestically. Thanks to this interconnectedness and a shift in consumer and investor attitudes, the Environmental, Social, and Governance (ESG) approach to investing has rapidly become a popular and driving trend in finance today. ESG is part of a movement to make the investment and corporate behaviour responsible regarding society, the environment, workers, and ultimately shareholders. It is closely related to movements like Socially Responsible Investment (SRI) and Corporate Social Responsibility (CSR). SRI is often considered a “negative screening” process, whereby companies are removed from consideration due to their negative impacts on society. The most widely known example is avoiding tobacco, alcohol, firearm, gambling, and adult entertainment producers, as many people deem these to have negative impacts on society. One can think of SRI as the private investment counterpart to government-instituted sin taxes, which tend to target similar industries and products. Of course, SRI might also screen out companies that have poor relations with the environment, workers, or society. Activist investors often use SRI for identifying which companies are to be avoided or even actively fought against. CSR, on the other hand, originates from within the company itself, rather than from outside investors. Investors may indeed encourage CSR policies, but the development and implementation comes from inside. CSR firms maintain policies that variously treat workers, the environment, and financial stakeholders in ways that are socially acceptable. A vast number of companies practice some sort of CSR, being involved in, pioneering, or following initiatives like the Rainforest Alliance, LEED Certification, and the Global Sustainability Initiative. Community involvement, employee benefits (especially those that directly bolster the local economy), and ethical guidelines all form part of a company’s CSR practices. ESG is an investor-side analysis that evaluates a company’s environmental, social, and corporate governance policies to determine the financial impact they will have. The traditional idea is that fiduciary responsibility expects management to ignore externalities, like the impact of policy on the environment and workers, and focus solely on generating the highest economic returns possible for the investors. ESG contends that such externalities, like pollution, poor working conditions, and corrupt behaviour will eventually impact the investors in a negative way, implying proper CSR and ESG policies are actually more responsible in a fiduciary sense. In fact, one of the more prominent UN-backed initiatives on ESG is called Fiduciary Duty in the 21st Century, which argues that companies do better when they support their host societies. Another UN program, UNPRI (UN Principles for Responsible Investment), publishes an annual report (2018 report) on the state of responsible investing and maintains a list of investor institutions that have signed a pledge to disclose their ESG activities. The report is a good start point for those interested in finding the companies most transparent about their ESG activities. There is no comprehensively defined set of factors investors should consider when making ESG evaluations, and different investors might even have different criteria or focus on a single issue. The predominant issues revolve around social, ethical, environmental, and governance concerns, with the environment, worker and animal rights and welfare, consumer protection, diversity, corporate transparency, and long-term sustainability being key areas of focus. According to the linked UN report, environmental responsibilities, particularly as it applies to limit catastrophic climate change, are now the top concern for UNPRI signatories. One reason greenhouse gas emissions, pollution, and climate-affecting policies are so crucial today is the dire warning from the latest Intergovernmental Panel on Climate Change report and the obvious signs of rapid climate change to even laypeople unfamiliar with climatology. Governments will enact environmental policies regardless of a potentially detrimental impact on the economy, but ESG-mined investors will know which companies are prepared for such changes. Investors who ignore ESG considerations when making investment decisions are likely to face losses as governments shift policy to deal with climate change or consumer sentiment lurches towards favorability of companies that act responsibly. Since ESG’s incorporation into investment decisions deals with how ESG policies will impact financial returns and metrics, much of the importance of ESG is closely related to avoiding major liabilities for companies – aside from the consumer backlash that may occur. One illustrative example of long-term sustainability and social responsibility is infrastructure projects. Companies that participate in building infrastructure are particularly vulnerable to the long-term sustainability of the host society and economy. Infrastructure projects are expensive yet generate revenue for a long time, but they only generate revenue if the host area maintains strong economic conditions. Once those conditions deteriorate, any infrastructure project could quickly become a negative asset. Companies that treated workers fairly and respected the local environment are more likely to retain local loyalty, while those that did not will likely suffer consumer and maybe even political backlash. Investors who are aware of these dynamics will come out on top. Because climate change has become such a driving factor behind government policy around the world, ESG consideration is particularly useful for ensuring capital is not lost to rapid political developments, especially in growing nations that have little environmental regulation. The clearest example would be a company suddenly incurring massive fines and legal liabilities due to its inability to cope with new environmental regulations. The investor who does not overlook ESG principles would be able to easily identify a company vulnerable to such policy changes and either avoid the investment altogether or proceed with great caution, keeping an eye on the host government’s changing stance. Ethical treatment of workers and providing safe working conditions for those workers has seen some high-profile cases over the last decade, with two garment factory disasters in Bangladesh in back-to-back years as one of many examples. In the 2012 Dhaka fire, which resulted in more than 110 deaths, Walmart terminated its contract with a company using the facilities. With Walmart pulling out and the negative publicity itself, investors who had ignored ESG, specifically working conditions, in their evaluation would have taken major losses. Just one year later, a building collapsed in Bangladesh, killing over 1000 people this time (Rana Plaza Building Disaster), with global criticism again aimed at clothing retailers sourcing from the country. The high-profile “suicide net” at the Foxconn factory in China, an Apple contractor, is also an easily recognizable mark on the company. For the behemoth multinational corporations, flat out refusing to improve conditions would become a PR nightmare, though it seems unlikely that single issue would destroy a company – unless governments get involved. Either way, it is safer for investors to consider supply chains and ethical treatment of workers to avoid economic losses. In the 2010s and likely far into the future, consumer data protection is a major concern for many businesses, and backlash, even by government hearings, can be swift and impactful. Facebook’s 2016 US election issues, pervasive online tracking by corporations, and data brokers are all reasons individuals have turned to VPNs, adblockers, and other methods to safeguard their privacy. An ESG-aware investor may have seen the rise of the latter companies early, as the cultural and social landscape shifted. Of course, early investment implies greater returns. 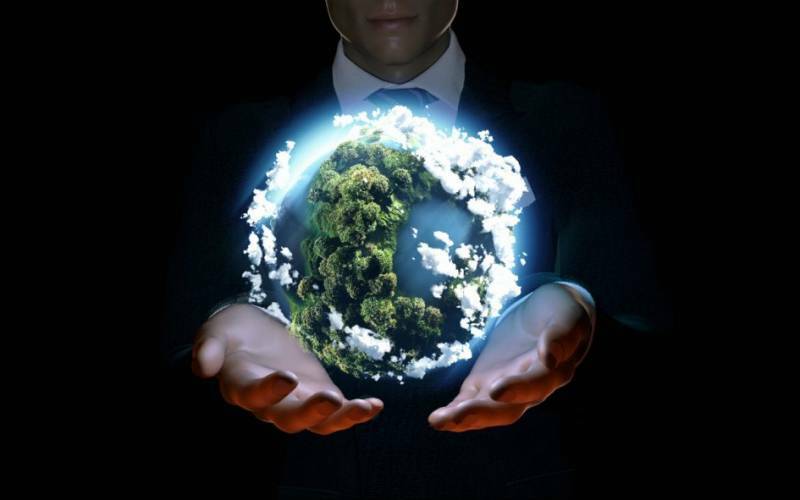 Some of the world’s largest investor jurisdictions have mandated ESG disclosure, including China and the EU. The United States is yet to introduce mandatory reporting, but plenty of US companies voluntarily publish their ESG records, especially if their track records are positive. Regarding disclosure, corporate transparency is certainly one of the issues that fall under the ESG umbrella (particularly the governance part), and companies that adhere to responsible ESG principles will likely publish their policies and information voluntarily. Thus, one way to evaluate ESG policies and their potential impacts is by using the company’s own material. However, plenty of investing institutions, from banks to investment advisors, offer ESG services to evaluate the impact of ESG policies and trends on financial stability and profitability. All the major investment banks offer some sort of ESG consulting and evaluation services, with the likes of BNP Paribas, UBS, and Deutsche among those in Europe who do. The UNPRI report above lists new signatories for its program starting on page 60, with 331 new signatories for the 2018 report. One can also search all of the signatories of the initiative to discover whether a favourite firm or the local finance firm is part of the program. If not, clients can encourage the firm to join for access to the UNPRI data portal, which is only available to asset holders and large investors, and simply to be part of a respectable global cause. If an investor is not interested in a single company, there are also many funds on global exchanges that offer basket investments in ESG-compliant companies, many of which focus on SRI and ESG policies. A quick internet search will turn up hundreds of such ETFs. Indices also track baskets of ESG-related assets, with household names like Thomson Reuters, Dow Jones, S&P, and FTSE delivering indices on sustainability, environmental sectors, and other SRI/ESG areas. The companies that constitute part of the index can be viewed individually, or those indices can simply be used as a baseline for evaluating the financial performance of other ESG-compliant companies. Of course, equity is not the only asset class to benefit from ESG considerations, and the bond market is ripe for ESG-focused instruments, particularly for higher-yield companies in emerging economies where environmental concerns will likely be highly affected by government policies on sustainability and pollution reduction. Global-minded investors must be aware of changes in the companies in their portfolios, and ESG changes are no exception. In fact, overlooking some of those changes as they relate to data protection, environmental policy, and workers’ rights can lead to rapid capital depreciation if news of violations or detrimental changes surfaces. As investors, we are vulnerable to deceptive reporting, but assuming we can trust the reports, news of changes will be important to us. Unfortunately, the internet buries us in too much information. So while there is certainly not a lack of information, we still have difficulty sorting through everything as human beings (as opposed to AI). For that reason, using a personalized news source like CityFalcon can help investors understand the impact ESG policies will have on their investments. Investor and cultural attitudes are changing in regards to corporate governance and responsibility. Global news and the ubiquity of modern telecommunications means companies cannot perpetuate abuses in faraway places without core consumers back home discovering the abuses and prompting a backlash. Governments in underdeveloped countries are gaining the strength to fight irresponsible environmental practices, backed by the voters and consumers at home – or by the incumbent political party in nondemocratic nations, as countries like China attempt to raise standards of living by cracking down on polluting firms. ESG considerations are on a path to become part of every financial evaluation, alongside the more traditional considerations, like management structure, KPIs, and financial health. Investors who understand this now, in 2018, will be able to preempt seismic shifts in the financial markets due to environmental, ethical, and other ESG topics.